This app is designed for all hard-working shift workers. The major feature of this app is Easy to Use. You can select a range of days (rather than one day) to set. Thus, you can set your schedule in few seconds. 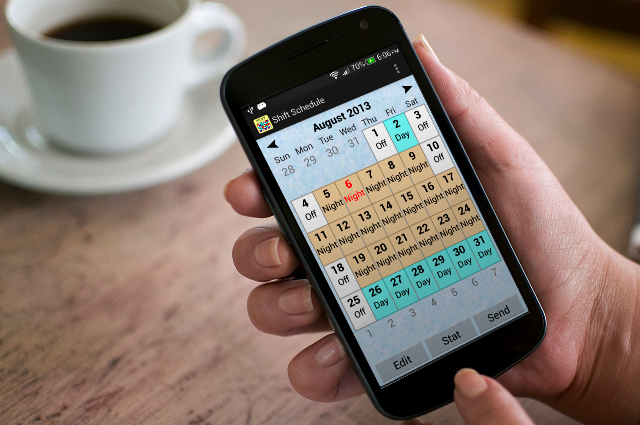 Then, you can send the screenshot of your calendar to friends (via SMS, WhatsApp, and so on).